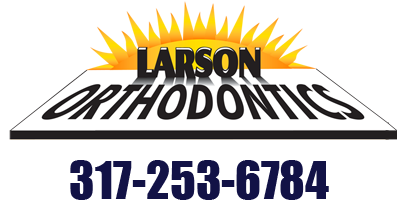 I know that Dr. Larson provides the best quality of orthodontics. I worked for Dr. Larson years ago and I always said that if my kids needed ortho that I would take them to Dr. Larson because I always liked the work that he did. I think that the long drive is worth it!!!!! Thank you!!! I also like to talk with Jennifer when I go to the office. She always has a smile on her face. Brandi sees how everyone in the office works together as a team. She feels very comfortable and special. She likes the personal attention and the fact that everyone is so friendly. Friendly staff!!! Very professional. Makes my children feel comfortable. He is very professional, knows what he is doing, and gets things done correctly. Before we came to Dr. Larson, we tried a few other orthodontists who wanted to take short-cuts. The results would not have been ideal. We're glad we found Dr. Larson. Dr. Larson is a very thorough orthodontist who has a very good track record and is very good at what he does, he's the best from what I can tell and on top of that he is very personable and professional. My son really enjoys going. The girls are great and easy to get along with. Dr. Larson is very honest about what the needs are for your teeth. He is very helpful about referring you to another dentist if it's something that he cannot perform. He came highly recommended, and he and his staff appear to be very professional, yet friendly and understanding. Expertise and professionalism. The staff is awesome, too! I love the staff they're all are so friendly. They're like a big family.